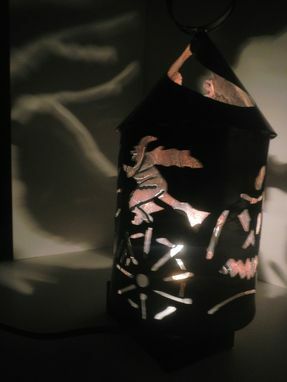 Rotating Halloween lantern in copper. Can be lit with either candles or light bulb. For indoor use.